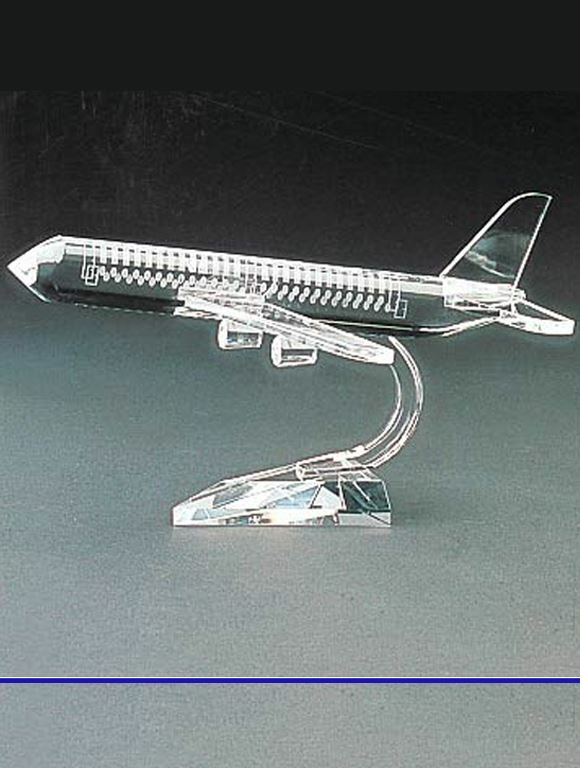 Solid Crystal Areoplane on crystal stand. Window and other detail is sand blast etched. We can create any shape out of crystal. Just to let you know I have received the trophy and it looks great! Thank you so much for your help. They looked fantastic!! It was a pleasure to work with such professionals that understood and met the brief. Special thanks to th grahics team your patience in managing all my changes and being able to offer advice on the best approach for these trophies. Look forward to working with you in the future. Just wanted to say thank you very much for the support and patience you displayed while we finalised the trophy list for Skandia Geelong Week -- you showed true customer service. They were delivered in time and well labelled allowing us to prepare well for the presentation. Once again - really appreciate your effort and support.